Our established series of dinners feature high-calibre speakers and an audience drawn from all parts of the private equity and venture capital community, making it an ideal networking event to raise your profile and entertain your clients. All proceeds from fundraising are donated to charity. The Midlands Dinner will also host the BVCA's Regional Management Team Awards, which will recognise and celebrate the industry's success stories within the region. 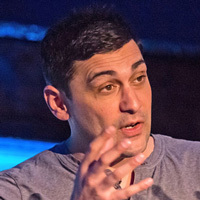 Adam Rutherford is a scientist, writer, and broadcaster. A geneticist and evolutionary biologist, he has edited Nature magazine, been a regular on everything from Horizon to The One Show, and is the host of Radio 4’s flagship science programme, Inside Science. Since his PhD in genetics, Adam’s natural flair as a communicator has seen him write extensively for both medical and scientific journals as well as mainstream newspapers. He edited Nature for a decade and presented BBC programmes on the history of biology (The Cell), genetics (The Gene Code), dissections in art (The Beauty of Anatomy) and synthetic biology (Playing God). For Radio 4 he’s looked at MMR and autism, evolution, science as portrayed in film, astronomy and art, and scientific fraud, and also co-hosts The Curious Cases of Rutherford and Fry. In his attempt to widen scientific understanding he’s used Lego to build an ancient computer, recorded podcasts, and toured with Brian Cox and Robin Ince on their Uncaged Monkeys tour. He’s advised the children’s cartoon The Cat in the Hat Knows a Lot About That, the zombie apocalypse Brad Pitt movie, World War Z, the acclaimed artificial intelligence film Ex Machina, and Bjork’s science influenced film Biophilia Live.